Of all the rooms in the house, we value the bedroom because it is where we sleep and rest and it is where we do private things. As a whole, the bedroom is our own private sanctuary where no one has the license to disturb us unless we are sharing the same room with them or they are part of the family. Speaking of sharing a bedroom, a master bedroom would immediately come to your mind because it is occupied by two persons. A couple would use the bedroom which is basically the head of the family- the mother and the father. A master bedroom could also be designed beautifully and in a sophisticated manner so long as it suits the design preference of both occupants. 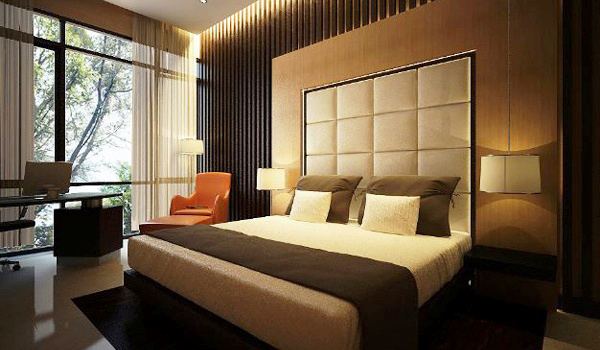 We have shared to you some tips before about designing a master bedroom or even a round -up of master bedroom designs. 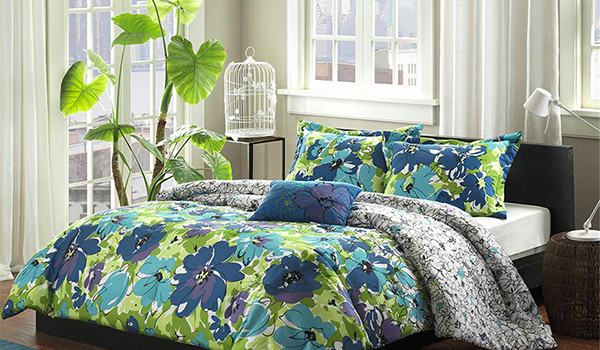 But today, we will give tips to you on how you can add more space to your master bedroom. Well, we are aware that not all homes are spacious and that even the master bedroom can be limited in area. But you shouldn’t worry because there is still a way to give you that airy and light feel while sleeping in your very own master bedroom. Yes, if you are creative enough and totally aware of your space, you can create an illusion that you are occupying a larger space no matter how small they may appear. One important thing to do in order to add more space in the master bedroom is to eliminate clutter. Avoid all the mess. Keep things properly and don’t allow any scattered stuffs. Allocated storage for clothes and other personal belongings. A wardrobe that occupies one side of the wall would be a good idea to store your things. 2. Get the right furniture sizes. The way your bedroom looks is greatly affected by the kind of furniture you get. You have to make sure that the size of the furniture is right. It shouldn’t occupy so much space. Avoid bulky and large furniture because it will make your space look small. Also avoid crowding it with many furniture. It is important that there is enough space for all your items to breath. Just get the pieces that you really need. 3. Natural light and artificial lighting are important. Anything that could add lights are necessary for the bedroom. You can get a chandelier or pendant light or anything that will give artificial light to your bedroom. You can also add wall sconces, floor lamp and accent lights. When daytime comes, open up the curtains and let natural light in. You can even open the windows too. Doing this will make the space look much larger and would help you save energy. 4. Use decorative headboards and create an accent wall. When you have an accent wall, you can lead the eyes to that part of the bedroom. Doing this will make the bedroom appear larger especially that there is only one focal point in the area. Also, instead of an accent wall, you can create a beautiful headboard that will attract the eyes. This way, your headboard becomes the focal point of the master’s bedroom. Anything that has glass can add visual appeal to your space and could make it visually larger since it will let light bounce around the room. You can even get wall decors that are framed in glass or you can use mirrored furniture. Adding a large mirror as a door of your wardrobe or just to one side of the wall can greatly help bring in some light to the space and avoid that boxy look. For small spaces, less is more. 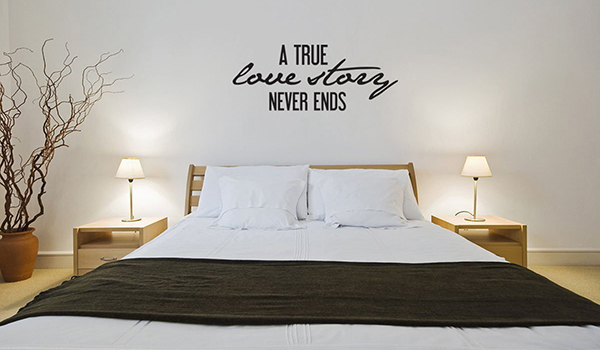 This is of course true even to your master bedroom. Yes, two of you are using the space but you don’t have to place many decors. Just place a few memorable items as decor. It would also help if you get stuff with multiple functions so you won’t need to bring in plenty of thing to the bedroom. We have heard of this many times already and it won’t hurt to give you a little reminder. For a small master bedroom, make use of light colors because light colors seem to absorb bright light. There are a huge selection of light colors to use so you would definitely not run out of choices. But you can also actually add some dark color accents. Some even use dark colors for the ceiling that could give more intimacy to the space. 8. Add the same color to the ceiling and walls. When you use the same color for the walls and ceiling, you are allowing a continuous look to the space. It appears like they are in one making it look larger. 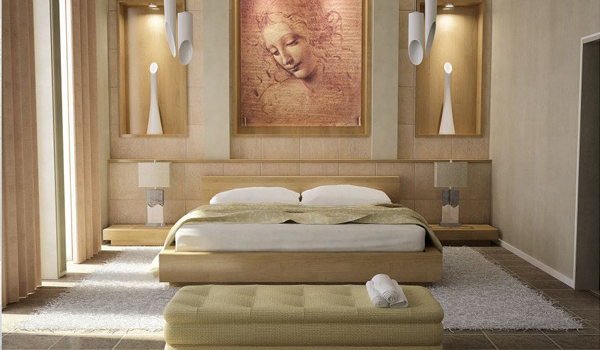 Most master bedrooms would use a safe light color for the walls and ceilings. It does work well too. And when we say safe colors, that would be white, cream, beige and other neutral and earth colors. There are many ways that you can create continuity in the master bedroom. Using the same tiles on the floor free of other decorative tiles can do the trick. You can also use glass if you intend to add a partition to changing areas and others. You can also apply the tip above by using same color to the ceilings and walls. 10. Have a large window. When you have a large window, you are not just allowing natural light inside the bedroom but you are also giving the owners a good view of the outdoor scene. Doing this will seem to unite both the indoor and outdoor spaces which is a good thing. A large window can also create an illusion of space as well as it takes a part of the wall turning it into a peep hole for sunlight. And don’t ever forget to clean your bedroom all the time. This is an important step to keep things organized and clean. 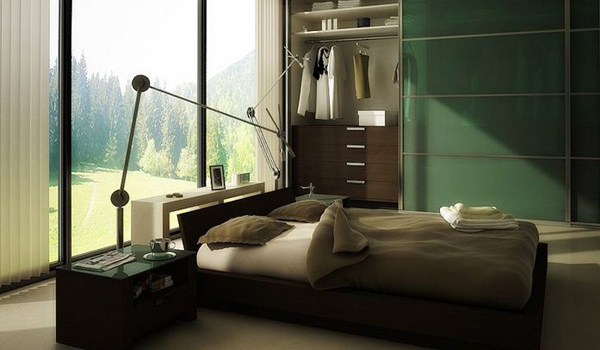 The last thing you want in a small master bedroom is clutter. So, keep things arranged all the time. Also remember to keep things simple but you can still get a luxurious space despite being simple. Just be creative. It doesn’t mean that just because you are keeping things to minimal, you can no longer get a sophisticated master bedroom. So, is your master bedroom small? How did you decorate it to add more space? Hi Kareen, good tips … keep on!